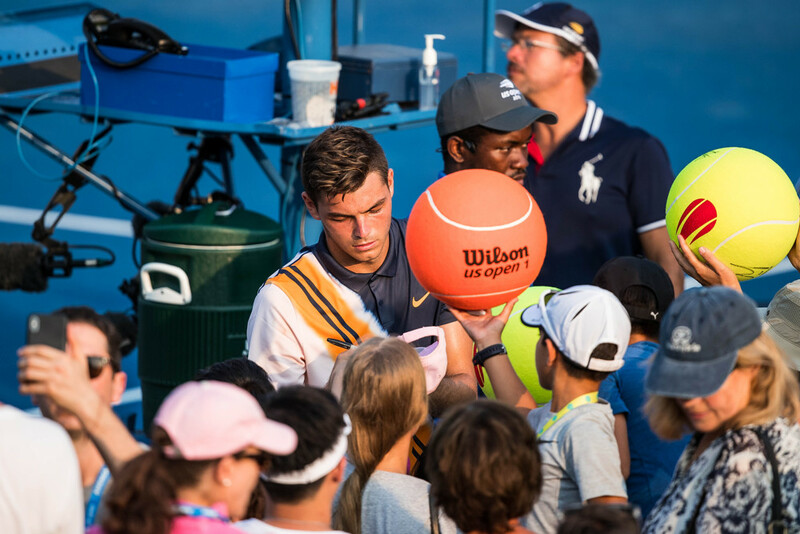 Down two sets on the opening day of the U.S. Open Tennis, Taylor Fritz pulled off the biggest comeback of his career to date Monday. The San Diego native relied on his athleticism to outlast Germany’s Mischa Zverev in five sets, 4-6, 2-6, 6-4, 7-6(2), 6-2. The match lasted 3 hours and 48 minutes. This was Fritz’s first two-set-behind comeback of this career. In a way, Monday’s win made up for the disappointing 6-4, 5-7, 6-7 (0), 6-1, 6-2 loss against Zverev in the second round at Wimbledon a month ago. On Monday, Fritz had 79 winners and his 18th ace sealed the deal. The 20-year-old is only one year removed from his first Grand Slam match win at the US Open. Fritz will now face Jason Kubler on Wednesday. The Australian scored his first Grand Slam match win earlier in the day Monday, beating Spain’s Roberto Bautista Agut 6-3, 6-3, 6-4. Kubler is competing as a top-100 player for this first time in this tournament.